The optimist twist: Arsenal being drawn against Swansea in the third round of the FA Cup will provide the Gunners with a solid opportunity to exact a matter of revenge. The pessimist twist: God is laughing at us. All that domestic turmoil aside, Arsenal travels to Greece to finish off their Champions League group against Olympiacos. It's the third time in four years Arsenal will play there on Matchday 6, and yet again, this match is essentially dead rubber. Olympiacos are guaranteed to finish third in the group; Arsenal are through to the knockout phase but do not control their own destiny in winning the group. Permutations: Can Arsenal Win the Group? Yes, there are scenarios in which Arsenal can still win Group B, despite trailing by a point going into this match. Obviously, those scenarios involve Schalke dropping points. If Schalke wins in Montpellier, they win the group, end of story. If Arsenal wins and Schalke loses or draws, then Arsenal wins the group. 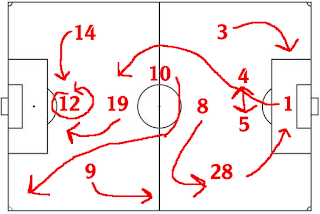 This is not how Arsenal should go about "rotation." As for the team news, Arsenal have left everybody behind, so that they may rest their weary legs and watch the match on television. The list of non-included players consists of the likes of Jack Wilshere, Bacary Sagna (who missed Saturday through injury anyway,) Per Mertesacker, Mikel Arteta, Santi Cazorla, Lukas Podolski, Theo Walcott, and Olivier Giroud. Also consider that Laurent Koscielny is hurt, as well. Ditto Johan Djourou and Ignasi Miquel. So, who does start? That's an excellent question, but the squad of players on the plane includes eleven "first-team plus fringe" and seven "youngsters," so you'll have to expect the eleven picks itself. And, that includes Squillaci. Then again, the eleven really only includes three defenders, so either Martin Angha gets a start, or Francis Coquelin starts at... left back? We'll see... It'll be a youthful squad, which could be a bit worrisome, but can you honestly justify sending the full squad, who are struggling to perform up to expectations largely because they look exhausted? 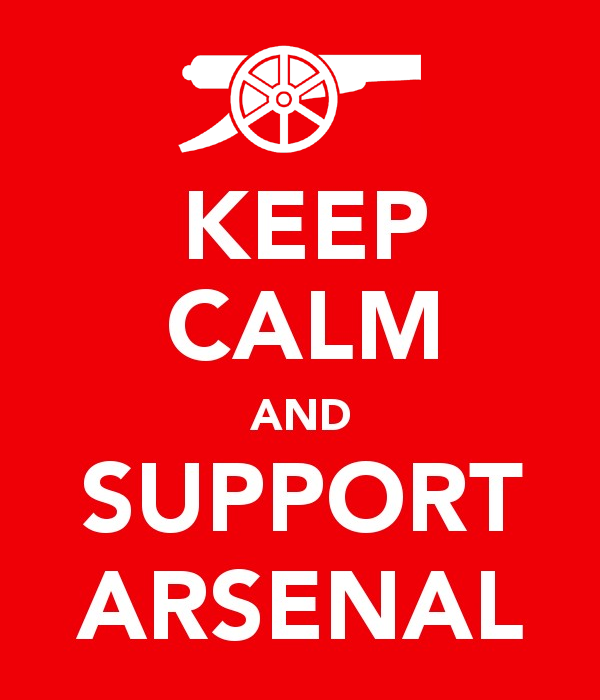 Lack of depth is the real problem, but that can't be sorted 'til January, so now is the time to just deal with it. Predicted XI: Szczesny, Jenkinson, Vermaelen, Squillaci, Coquelin, Ramsey, Rosicky, Oxlade-Chamberlain, Arhavin, Gervinho, Chamakh. Subs from: Shea, Angha, Ansah, Harjovic, Meade, Monteiro, Akpom. 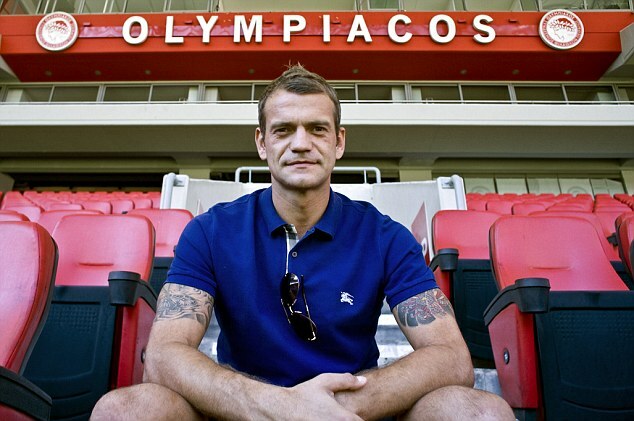 Roy Carroll, however, is not a very Greek name at all. Charalambos Lykogiannis, who has the Greekest name I've ever read, has been ruled out for six weeks (as of mid-November, so about three weeks now) with a sprained ankle. Avraam Papadopoulos (that's still a pretty Greek name, but not as crazy as the first one) has been out since the Euro tournament with a left knee injury. Jose Holebas, who does not have a Greek name at all, serves a one match ban for yellow card accumulation. Then, I did some research, and found that his name is also spelled Iosif Cholevas, which is significantly more Greek. And, he plays for the Greek national team. Let's never forget that last year, Vito Mannone did this. Despite not having the most convincing of matches, Arsenal won the reverse fixture 3-1 on Matchday 2 at the Emirates. 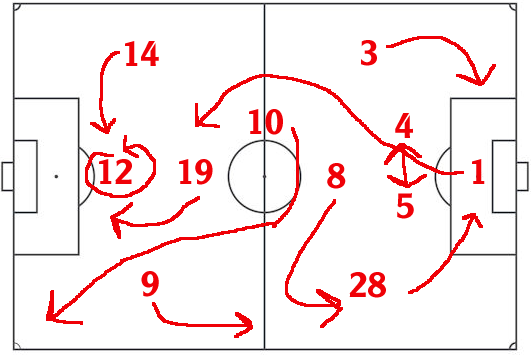 Gervinho scored in the 42nd minute, despite the fact that Arsenal had been a bit of a scattered mess leading up to it. Olympiacos equalized three minutes later and deserved to be 1-1 at halftime. Lukas Podolski scored the winner in the 56th minute, as Arsenal had a significantly better second half. Aaron Ramsey added insurance deep into injury time, yet his goal managed to not kill a celebrity/dictator in the following days. Last year, on Matchday 6, Arsenal were completely overrun by the Greek side, who needed a win and some help to qualify (they, ultimately, did not after Marseille came from behind to draw Dortmund.) Olympiacos struck first just after the quarter hour mark after some poor defense from Sebastien Squillaci, who I forgot even played in that game until I looked it up. Lukasz Fabianski then left with an injury, allowing Vito Mannone to have a disastrous showing after him, attempting to make a hurtling kick clearance when he could have just picked the damn ball up. Olympiacos was coasting 2-0, Yossi Benayoun pinged one back against the run of play near the hour mark, but the Greeks added a third in the 89th. 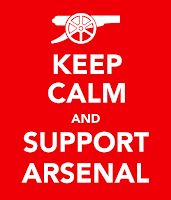 Arsenal have played on Greek soil seven times and have won just twice, drawing once, and losing four. Aside from last year's loss, the other three losses have been by 1-0 scorelines: 2009 at Olympiacos, 2001 at Panathinaikos, and 1997 at PAOK. Both wins and the one draw came at Panathinaikos (wins in 1981 and 1998, the draw in 2004.) Olympiacos are 4-3-3 in ten home matches against English competition, with two wins over Arsenal. Incidentally, aside from last year's win, all of Olympiacos's other wins over English sides at home were also by 1-0 scorelines: the other wins were over Liverpool and Tottenham. So, you would have thought last year's Arsenal loss should have been 1-0, not 3-1.
with everyone trying to dive for your attention all day. The crew of officials is from Spain; the referee is Alberto Undiano Mallenco. 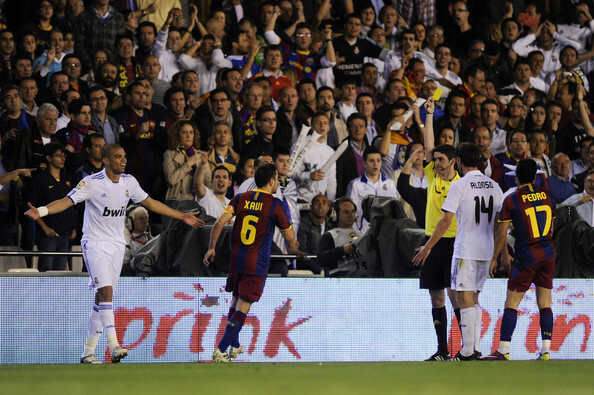 He is the same referee that worked this exact match on Matchday 6 last year. Prior to that, his only other Arsenal match in his career was a 2-0 win over FC Twente in the 2008 qualifying round. Arsenal's two goals that day were scored by two players who now play for Tottenham Hotspur, one of whom you may recall having been sent off from a recent derby. Undiano Mallenco has worked three Olympiacos matches, including last year's 3-1 win over Arsenal. The other two were a 1-0 win over FC Sheriff, which doesn't even sound like a real team (they're from Moldova) and a 0-0 draw with AZ Alkmaar, both in 2009. He was at the center of the 2010 World Cup match where Germany lost 1-0 to Serbia, during which he sent off Miroslav Klose, and, perhaps more tangentially related to Arsenal, even though it wasn't related at all when I mentioned this in last year's preview, Lukas Podolski missed a penalty. As mentioned, Schalke can win Group B with a win over Montpellier. They'll face off in France. As for the other groups, A through D finish today and E through H finish tomorrow. In Group A, Porto and PSG are both through to the knockout phase, on 13 and 12 points respectively, while Dynamo Kyiv has third locked up and Dinamo Zagreb has zero points in last. PSG hosts Porto in Paris, with the group title on the line. Zagreb hosts Kyiv in a dead rubber match that doesn't sound very dynamic at all. In Group C, Malaga and AC Milan are both through, while Zenit St. Petersburg and Anderlecht are level in their battle for third. Malaga have already won the group, as they are three points clear of Milan while holding the tiebreaker. Malaga hosts Anderlecht in Spain, Milan hosts Zenit at the San Siro. In the Group of D is for Death, Borussia Dortmund have already won, with a three point lead and the tiebreaker of Real Madrid. It is between Ajax (four points) and Manchester City (three) for the right to continue on in the Europa League. Dortmund hosts City in Germany; Real Madrid hosts Ajax in Spain. On Wednesday, Chelsea will fight for their lives in Group E, though their fate is out of their hands. Shakhtar Donetsk are through to the knockout phase with 10 points. Juventus are in second with 9. Chelsea is in third with 7. Danish side Nordsjaelland are guaranteed to finish last. They'll play at Stamford Bridge this week. However, both Shakhtar and Juventus are through with a draw; they play in Donetsk. Chelsea need a win and a Shakhtar win to avoid the Europa League. In Group F, Bayern Munich and Valencia are both through with 10 points, while BATE Borisov is assured of third place and Lille is assured of last. Bayern hosts BATE in Germany, having lost in Belarus on Matchday 2. Valencia is away to Lille in France. Bayern holds the head-to-head tiebreak. Barcelona have already won Group G, as they are five points clear of Benfica and Celtic, who are tied with seven points. Spartak Moscow are in last place. The battle for second place is between the Portuguese side and the Scottish side. Benfica has the task of facing Barcelona at Camp Nou, while Celtic is home to Spartak. Benfica's Matchday 5 win over Celtic gives them the tiebreak, but Celtic merely has better Benfica's result to advance. In Group H, Manchester United won the group weeks ago and despite losing on Matchday 5, they are still five points clear. Galatasaray and CFR Cluj are both level on seven points, with Braga in last place. Braga hosts Galatasaray, while CFR Cluj has to play at Old Trafford. That battle for second sounds a lot like the Group G battle for second that I just talked about. The Turkish side has the tiebreaker.